Redrock Micro's ultraCage Black for Canon C100 is a form-fitting cage and baseplate with 15mm rod support on the top and bottom. It features a 1/4" screw on the bottom of the top plate, so it secures the camera from both the top and bottom. The cage covers only the front portion of the camera, leaving all controls and ports free for use. Its design allows the camera to sit firmly and withstand torque and weight. 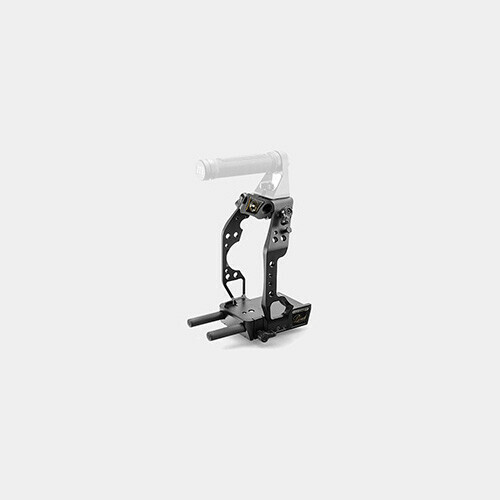 The baseplate features 1/4" and 3/8" tripod-mount threads and is also threaded on the bottom to support optional third-party plates for mounting 19mm rods. The baseplate already has the correct height and mounting points for both 15mm and 19mm rods. The cage sides have 1/4" and 3/8" mounting threads, and the top plate features 1/4" threads for optional top handles and other accessories. 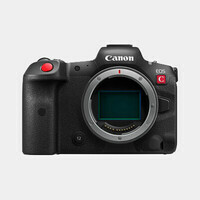 Note: This model is only compatible with the original C100, it is NOT compatible with the C100 Mark II.